Conditioner beautiful and bright colors. ▪ Keratin Amino Acids - an amino acid that moisturizes and adds strength hair fibers. ▪ Green tea and UV protection against fading. 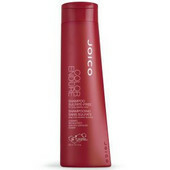 Apply to wet hair after shampooing and rinse.